In the market for a new home? As you start viewing properties, one of the initial bits of information you’ll receive is the address. 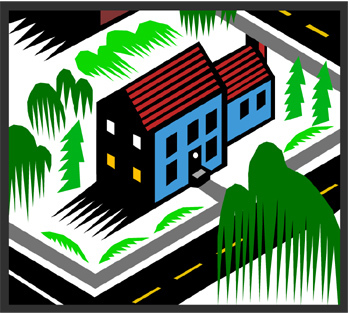 The home may be on a street, a road, an avenue, a boulevard—what does this mean? Is there a difference between an avenue and a boulevard? And with Americans using expressions like “down the street” and Brits using phrases such as “up the road,” what exactly is the difference between varying street names? Here’s a little cheat sheet, taken from Merriam Webster at www.m-w.com. A street is defined as a thoroughfare (aka – a way to get from point A to point B), especially in a city, town, or village, that is wider than an alley or lane and that usually includes sidewalks. Sometimes, major streets in the middle of shopping areas are called Main Street or High Street. A second definition on m-w.com says that a street can also be a district (as Wall Street or Fleet Street) identified with a particular profession. A road is an open way for vehicles, persons, and animals; especially one lying outside of an urban district. Moving on to avenues, boulevards, and the original question posed at the beginning on this article: what’s the difference between the two? An avenue is a broad passageway bordered by trees, and a boulevard is a broad, often landscaped, thoroughfare. There does not seem to be that big of a difference between the two terms. Something to keep in mind is that many U.S. cities name their streets based on a grid system. For example, in Manhattan, numbered streets run east and west, while avenues run north and south. Half blocks are usually named Court or Terrace, and streets that curve or run diagonally are called Circle, Place, or Way. In Chicago, the city is divided into four quadrants with State and Madison being the central point. All streets bear a directional prefix relevant to this point in the downtown area. All north-south streets are named, while east-west streets are numbered on the south side and named on the north side. « Should You Put Work Into Your Home?